You are invited to Help our Healing Haven "Global Healing Center" website and The Sanctuary Holistic Healing Retreat Center to become and remain sustainable. There are many ways to help, which include visiting The Sanctuary as a guest, telling your friends about us, by sharing our pages, by Liking The Sanctuary Facebook Page and interacting with us there, by writing healing articles and/or blogs, by coming to one of our retreats, and by commenting or asking questions at the bottom of those articles and blogs. Well, there is no should! But you could help if you feel inspired to do so. We (Healing Haven Website and The Sanctuary Healing Retreat Center) operate as a not for profit organisation without shareholders. This ensures that any profits in excess of our operating needs can be used for the highest good. We are sharing healing information and healing services for the purpose of bringing peace and harmony to ourselves and to the world. This is our purpose. By exploring this website and even perhaps visiting The Sanctuary in Mexico, you may come to feel that what we are doing here on the Healing Haven website and at The Sanctuary is for selfless reasons, for the highest good. We share below many different ways in which you could help, and intend that you are inspired to help us in whatever way feels right for you. Subscribe to our free Healing Haven Newsletter at the bottom of this page to ensure we don't lose you. You will receive monthly consolidated updates of best healing information we are sharing. Come to stay with us at The Sanctuary as a guest or come to a healing retreat. If you are not already a member, please join IFTT - (If This Then That) - a free service to automate many web tasks, then activate our sharing recipes to share all Healing Haven Updates on your networks. See the BIGGEST IMPACT box below for instructions how to do this. this method of sharing could have a huge impact as it will share ALL Healing Haven website updates automatically forever (unless you cancel later). It might take a little extra work by joining the networks you are not already a member of (if you also choose to share those recipes), but there is a simplified set up procedure for each new network. Next, Please share each of the following Healing Haven Global Healing Center sharing "recipes"
Puerto Cambio Community Exchange System. If you are in Puerto Escondido, or are able to offer something remotely to our community, please join and start exchanging. The Sanctuary Guest Page - to read more about our healing center in Mexico, the schedule, our healing protocols and how little it costs to stay. Healing Retreats Page - to read about special retreats offered at The Sanctuary and at other places around the world. Healing with MMS - We use MMS at The Sanctuary as part of our healing protocols to heal virtually any disease. Read Christians report about his 21 day Cleanse with MMS and feel free to ask any questions. Also see the link in one of the comments about curing and preventing malaria and curing cancer with MMS. Visit our Facebook Page, "Like" the page (assuming you do like it :-) and join in the discussions. It would be wonderful of you visit the pages listed below, then read some (or all :-) of the articles/blogs linked at the bottom of each page. After having read each article/blog we would like you to make a constructive comment or ask a meaningful question in the comment section at the bottom. When you have submitted your comment/question, please complete your e-mail address when asked to be notified of any further comments, giving you the opportunity to reply once more if appropriate. This will add content to each page and value to visitors, plus help the pages get found by others via the search engines. These links go directly to the links to the articles/blogs submitted by visitors, but please scroll up to read the page if you have not already done so (and share it on Facebook and your other networks please), and then visit the visitors submissions to read and comment. These links will open in new windows (or new tabs) so you do not lose your place here. You may also create your own page (as opposed to commenting on someone else's page), we describe that below (under "CONTRIBUTE" title). There are several places to contribute on this global healing center website. Depending what you would like to share, pick from the links below. A new web page will be created from your submission, with a comment section at the bottom of the page. This will allow you or other visitors to make comments or ask questions. You can use this as your own blog space. We invite you to consider making a donation. We operate on a not for profit basis with volunteer staff and no shareholders. In this way any surplus income is used for the highest good, as opposed to going to individuals. You can choose how your donations will be used, eg. sponsor a child for healing juices, sponsor a local coconut planting project, sponsor someone who is unable to afford a healing stay, or just donate to the general fund and let us decide how to best use it. if you have a website we would be grateful if you would place a link on your website to our home page: http://healing-haven.com or to any other page if you feel it is more relevant as a link from your site. You may wonder about the keywords (or key-phrases) we use on different pages on this website. For example, although this page is mostly about sharing, we use the key-phrase "Global Healing Center". Healing Heaven website is a global portal of information, and therefore a global healing center, therefore using this "Global Healing Center" keyword title and subject makes it much more likely for this page to be listed in the top ten results on the search engines and get found by the approximately 1,000 people who search for this term every month. By doing this, we hope to provide useful healing information to these new visitors (perhaps you are one?) by way of this Healing Haven website, a Global Healing Center for sharing information about healing. 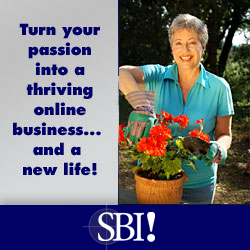 To find out more about how using keywords, combined with sharing your passion can create abundance for you, visit SBI - the system we use to create this website. We will receive a commision if you purchase an SBI package, which will contribute to the upkeep of this site.